Looking forward to spending an evening with your better half? 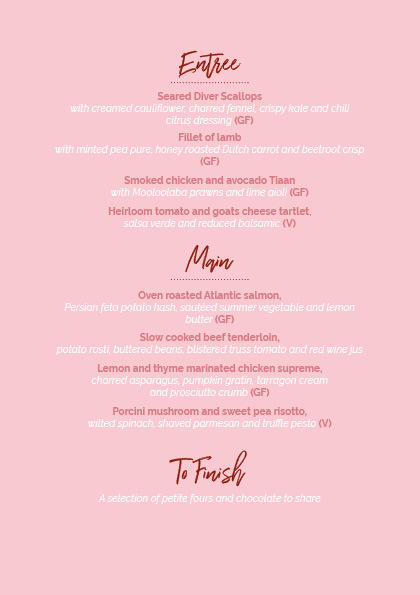 We’d love to see you down at Northshore Harbour this Valentines Day. Our Head Chef will be spoiling us with a fantastic two course meal that will blow you away. Be sure to make your reservation as soon as possible as there will be limited seating this valentines day to ensure privacy. We look forward to spending the evening with you and yours. Bookings from 6pm! Reserve your table now!